This workshop is designed to provide leaders with practical, proven techniques for enhancing communication effectiveness with others face to face and over the phone. Management/supervisory leaders who need or wish to strengthen their leadership communication with others. Group size: from 8 to 20 people. 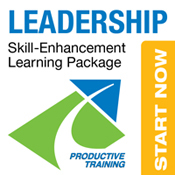 This course is ideal for greater leadership consistency within departments or as a component of entire company-wide leadership training initiatives. This interactive training is always well received by even the most reluctant or seasoned leaders. It is highly engaging and provides practical approaches for everyday use and it invites noticeable improvements in workplace leadership and teamwork. Several of our clients have put their entire management teams through this training because of the helpful results. Great Returns on Your Skill-Buiding Investment!